Gluttony (After Freud), 2011- 12. Collage and beeswax on Tycore, 92 x 56 in. Greed (After Ingres), 2011 - 12. Collage and beeswax on Tycore, 92 x 56 in. Wrath, 2011-12. Collage and beeswax on Tycore, 92 x 56 in. Sloth, 2011-12. Collage and encaustic on Tycore, 92 x 56 in. 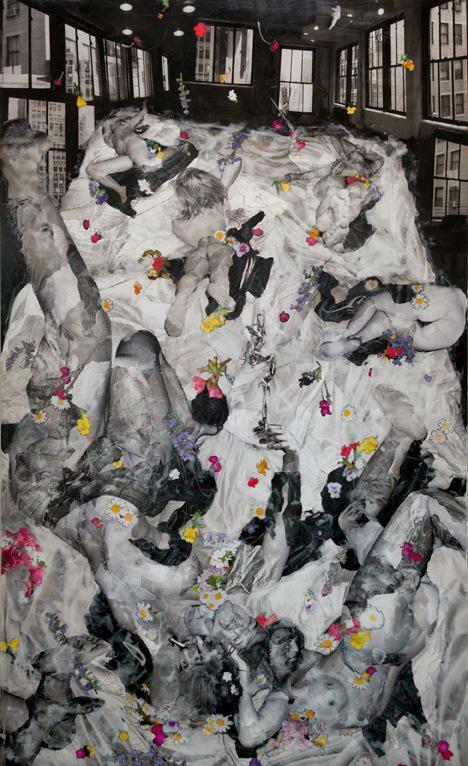 Pride, 2011-12, Collage and encaustic on Tycore, 92 x 56 in. Envy, 2011-12, Collage and beeswax on Tycore, 92 x 56 in. Lust, 2011-12. Collage and encaustic on Tycore, 92 x 56 in. 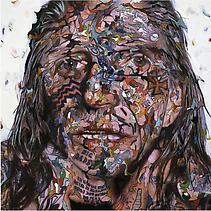 Tiny Portrait of Indian Larry, 1-7, 2012. Collage and beeswax on masonite, each 7 x 5 in. Tiny Portrait of Joe Barnes, 1 - 7, 2012, Collage and beeswax on masonite, each 7 x 5 in. Tiny Portrait of Lane Valentino, 1-7, 2012. Collage and beeswax on masonite, each 7 x 5 in. Tiny Portrait of Edward and Elinor Giobbi, 1 - 7, 2012. Collage and beeswax on masonite, 7 x 5 in. Tiny Portrait of Paul Guilfoyle, 1 - 7, 2012. Collage and bees wax on masonite, each 7 x 5 in. 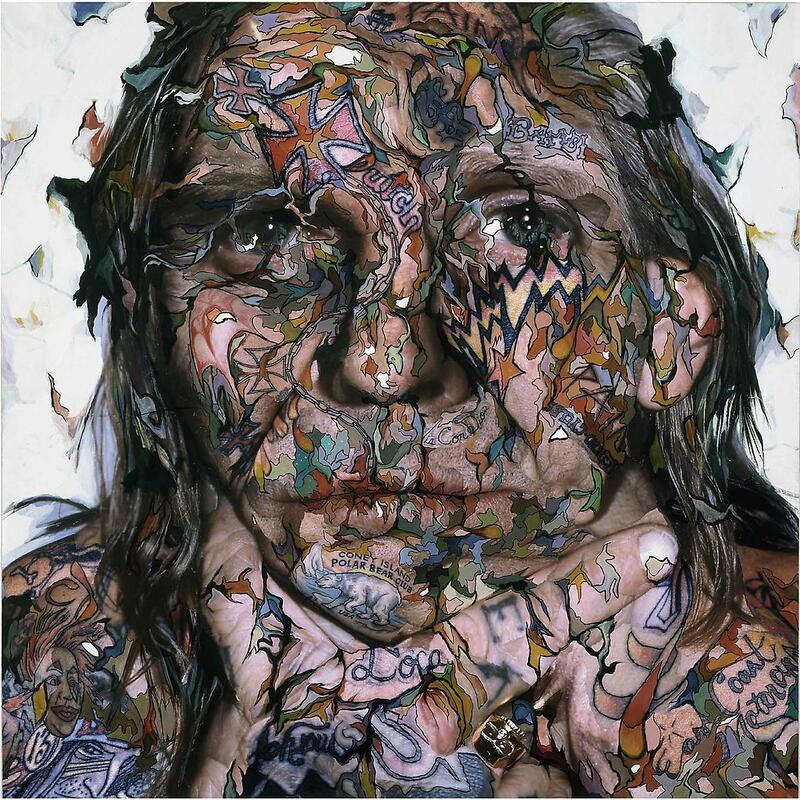 Portrait of Indian Larry II, 2004. Collage and acrylic on aluminum, 60 x 60 in. Portrait of Indian Larry III, 2004. Collage and acrylic on aluminum, 60 x 60 in. Torso of Indian Larry, 2006. Collage and acrylic on aluminum, 92 x 68 in. 101/exhibit Miami is pleased to announce SE7N, a new solo presentation of work by American artist Chambliss Giobbi with two additional bodies of work by the artist installed in each of the gallery’s spaces: Tiny Portraits which consists of 35 mini-portraits and Grease Monkey concerning legendary New York motorcycle builder and artist Indian Larry. Excess, hatred and indifference are all sure descriptions, within Catholic dogmas and mythologies alike, of The Seven Deadly Sins. 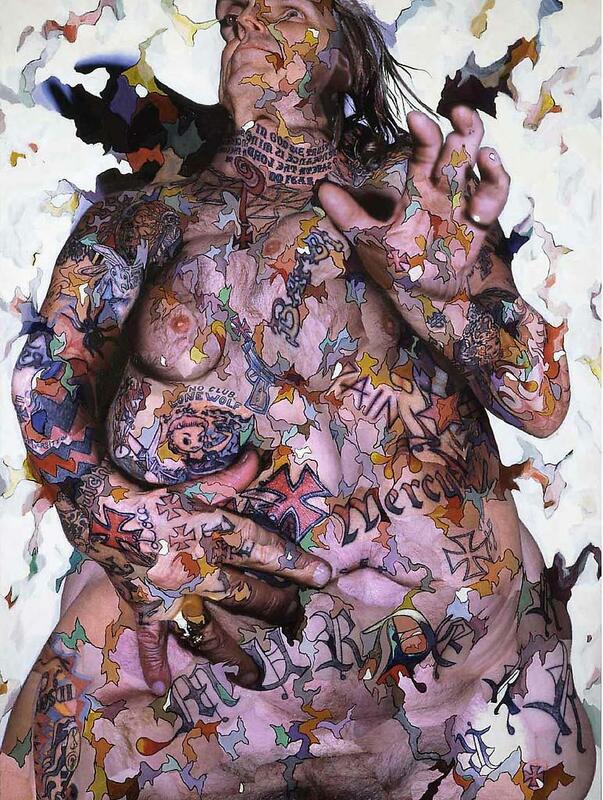 Visualizing these manifestations of inertia and obsession is made possible by New York - based artist Chambliss Giobbi. Coinciding with the 11th edition of Art Basel Miami Beach this December, 101/exhibit in Miami will present Giobbi’s solo project, entitled SE7N. 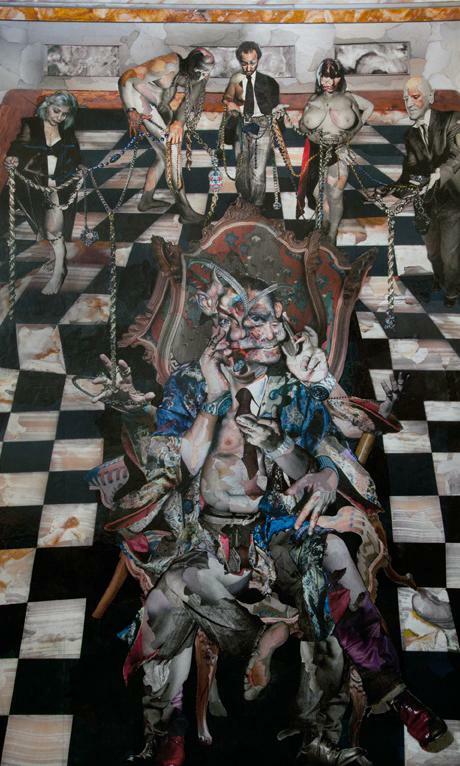 In their respective incarnations (wrath, greed, sloth, pride, lust, envy and gluttony), the Cardinal Sins are presented in real time and space through Giobbi's complex photo-collages. Giobbi approaches the threshold of the very sins he depicts, mutating and distorting his subjects to reflect the gravity of their error. 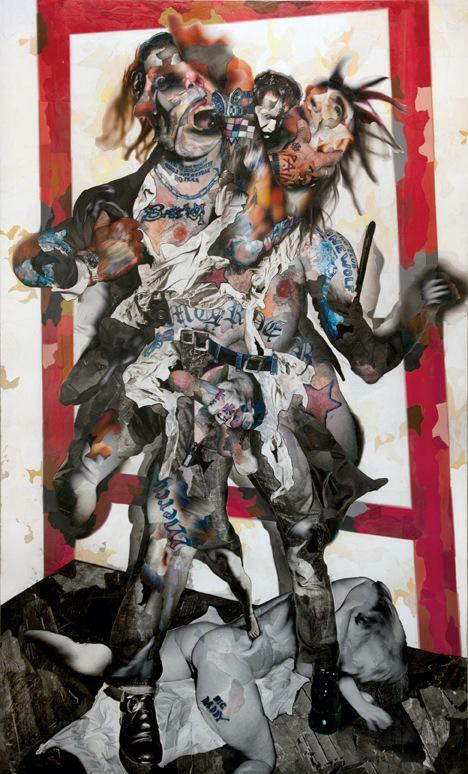 The more he shifts the figures towards abstraction, the closer their characters come to complete visual and metaphoric entropy. The works become a compression of time-based logic and spatial experimentation into a singular, flat surface. Giobbi's lengthy sessions photographing his subjects, followed by persistent permutations to the medium, results in imagery that disturbs and challenges his audience. 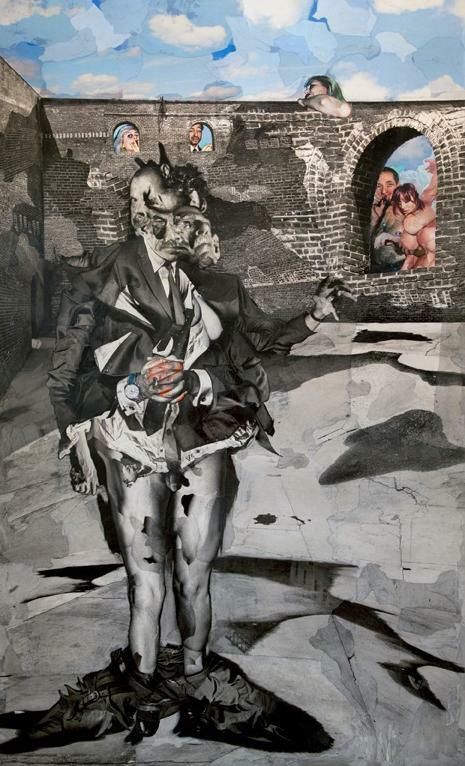 Francis Bacon pioneered this technique of shaping his models into elements of visual and psychological alienation: Giobbi furthers this legacy through photography and a tactile augmentation towards a sculptural object. SE7N channels Chambliss Giobbi's tireless interest in people and their secrets against the backdrop of an organized religion's own worst nightmares. The exhibition will be accompanied by a 44-page catalog with an essay by Walter Robinson. Mr. Robinson has written for numerous publications including contributing Editor at Art in America. He is the former Editor-in-Chief of Artnet Magazine. Chambliss Giobbi was born in New York City in 1963. He earned his BFA in Classical Music Composition from Boston University in 1986 before shifting into the field of contemporary visual art. He was the past recipient of the New York Foundation for the Arts Fellowship (1991) and a Guggenheim Fellowship in 1996. Giobbi’s work has been featured in exhibitions in Barcelona, Bucharest, London, Detroit, New York and Miami. His work is held in the permanent collection of the Museo De Bellas Artes in Santander, Spain. Publications such as BOMB Magazine, SLEEK Magazine (Berlin), FlashArt (Online edition) and The New York Times have included Giobbi and his work. 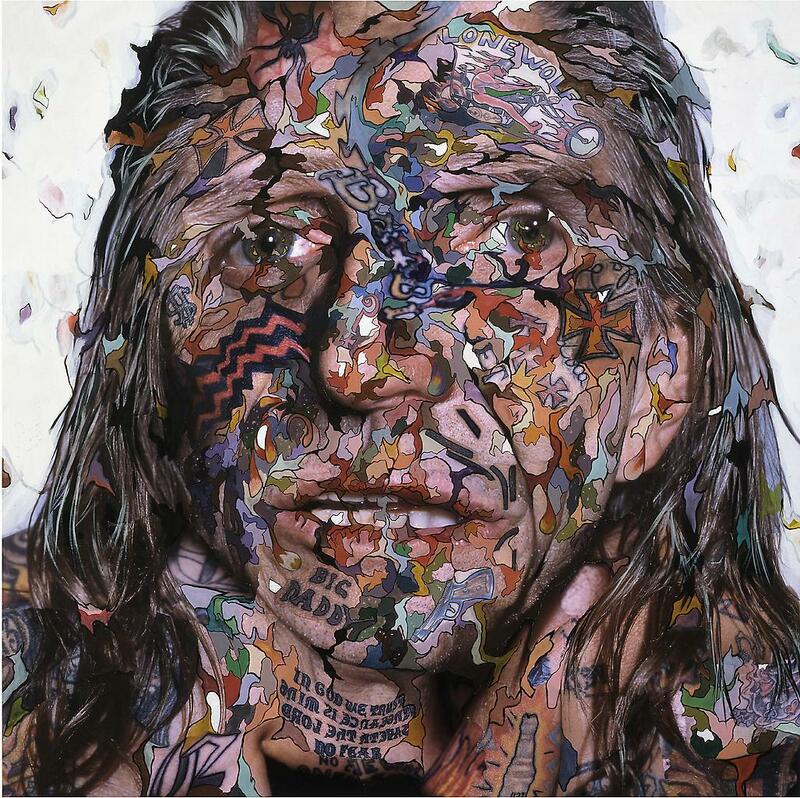 Giobbi lives and works in New York City.